Our Birdorable Bonanza 2012 concludes today as we reveal our 400th species: the Eurasian Eagle-Owl! Eurasian Eagle-Owls are very large and powerful birds. They have beautiful cryptic plumage, prominent ear tufts, and striking bright orange eyes. The Eurasian Eagle-Owl is sometimes considered to be the world's largest owl species. Their wingspan may be up to 6 and half feet or two meters! The scientific name for the Eurasian Eagle-Owl is Bubo bubo. Bubo is Latin for owl. This species has a very wide range, with breeding birds recorded in much of south and eastern Europe, and across much of temperate Asia. Eurasian Eagle-Owls eat a variety of prey, including mammals like voles and hares. Nesting usually occurs on rocky surfaces such as cave entrances, cliff ledges, or other crevices. 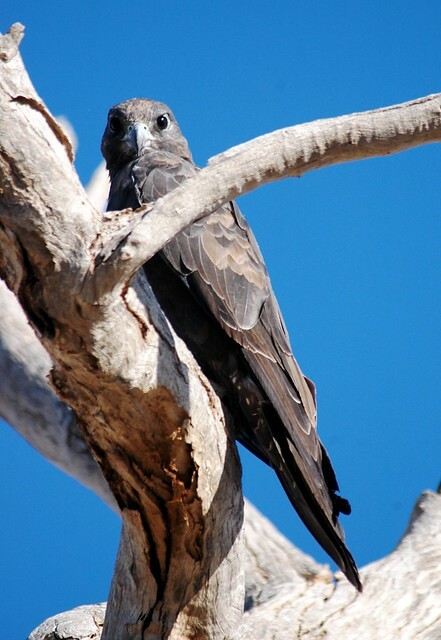 They may also take over abandoned nests of other large raptor species. Like other owl species, the Eurasian Eagle-Owl achieves silent flight through a fringe-like edging across their primary wing feathers. We've added a coloring page of this beautiful owl. Check out the Eurasian Eagle-Owl and other free PDF downloads here: Coloring Pages. We hope you've enjoyed our Birdorable Bonanza 2012! We had a lot of fun introducing 22 new birds in 22 days and look forward to the next time! Here is a list of all the birds released during this Bonanza, in case you missed any of them. We're almost there! 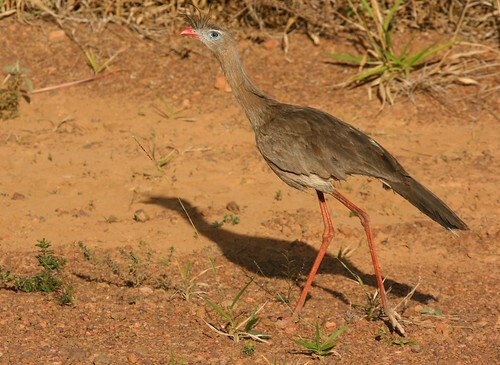 Today's new bird in our Birdorable Bonanza 2012 is also our 399th species: the Red-legged Seriema! Red-legged Seriemas live in open grassland habitat in central parts of South America. They feed on small reptiles like lizards and snakes, as well as large insects and small rodents. 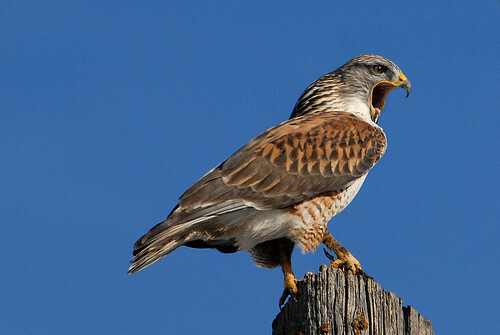 Today a beautiful bird of prey from the American west joins Birdorable: the Ferruginous Hawk! Ferruginous Hawks are the largest species of hawk found in North America. They are even sometimes mistaken for eagles when seen in flight - they're that big! They live in open habitats across western North America. They are known for their beautiful coloration, and for their large gape (mouth opening). Check out the photo below! One special Ferruginous Hawk is close to our hearts here at Birdorable. If you don't know about Journey the Ferruginous Hawk and his amazing story of survival, go have a read and be amazed: Ferruginous Hawk Recovered from Plow of Freight Train | Hawk travels 1,500 miles by train | The Amazing Journey. Tomorrow's species is a flightless bird from Antarctica who prefers rocks to ice. Can you guess what it will be? 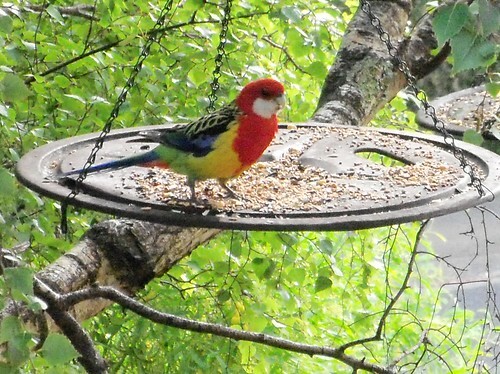 Today a beautiful parrot from Australia joins Birdorable: the Eastern Rosella! Eastern Rosellas are colorful parrots that live in southeastern parts of Australia, including Tasmania. 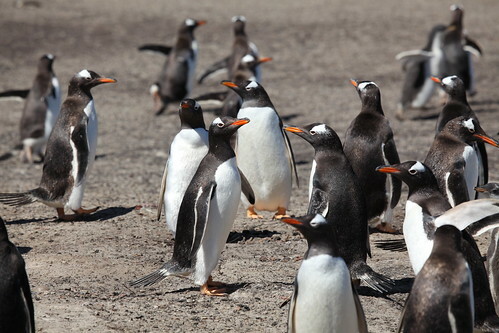 Their beautiful plumage is a mix of red, yellow, blue, green, orange, black, and white. In their native range, they sometimes visit back yard feeding stations. These colorful birds are cavity nesters. They nest in tree hollows, but will also use nest boxes, as you can see in this cute video. An adult tends to a juvenile in the box. Tomorrow's species is a bird of prey known for its wide gape. Can you guess what it will be?